At IFA tonight, Improv Electronics is set to launch its new eWriter, officially named the Boogie Board Rip LCD Writing Tablet. No, it’s not some kind of crazy dance machine, but the latest device to join Improv Electronics’ range of eWriters. It’s similar to all of Improv’s other Boogie Board eWriters, but the Rip part (which stands for Record Image. Preserve) means that you can write things, make notes, doodle and then transfer everything to your computer for any kind of storing or editing at a later date. Although I’m not wholly convinced everyone will soon stop using paper and turn to eWriters instead, it’s good to see Improv pioneering the eco-friendly, Boogie Board range. 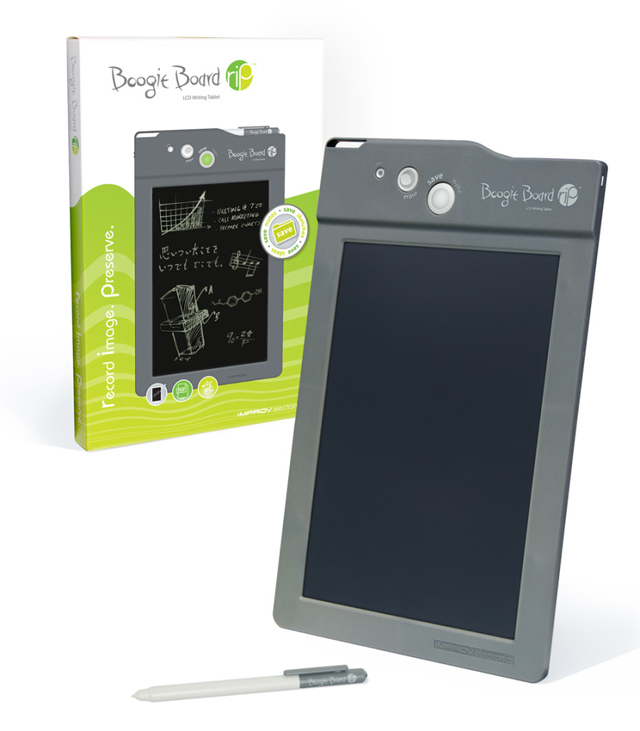 There’s no official indication of price just yet, but other Boogie Boards retail at around £30. The Boogie Board Rip will be available from the beginning of November from the Improv Electronics website and from other retailers shortly after. The information is up to the mark pointing about the improve electronic e writer.It’s been a few months since Improv Electronics updated its line of Boogie Board eWriters, and tomorrow at IFA the company’s set to show off its latest variant. Thanks for sharing the information.